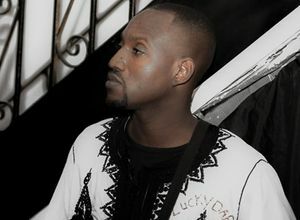 Awakeness is a single from bilingual, Oklahoma City based hip hop artist Luckydabo$$. It’s part of his musical project The Me$$age, which was released in 2018. The artist’s “message” in this case is one of positivity and optimism for contemporary society. Awakeness features lyrics of light encouragement related to everyday life (Gotta put some food on the table, got a kid to feed) and Luckydabo$$ has a rather jovial disposition. His delivery style consists of a laid back yet constant stream of consciousness. When I first heard this song, my first impression was that his vocals had a slight Caribbean quality to them, but in actuality he is descended from the Ashanti Kingdom in West Africa (known to us as Ghana and the Ivory Coast.) Luckydabo$$ just has a great attitude about life and seems genuinely all about helping people. He seems like a natural when it comes to hip hop, and listening to his jams you get the sense that this guy could rap in his sleep.